The development of smartwatches shows strong parallels to other technical fields. First products from various manufacturers were already available in the early 2000s, but the attention of the general public was caught in 2014 when the first smartwatch from Apple was introduced. From then on, more and more brands participated in the market, and the number of products increased rapidly while the prices were consistently going down. 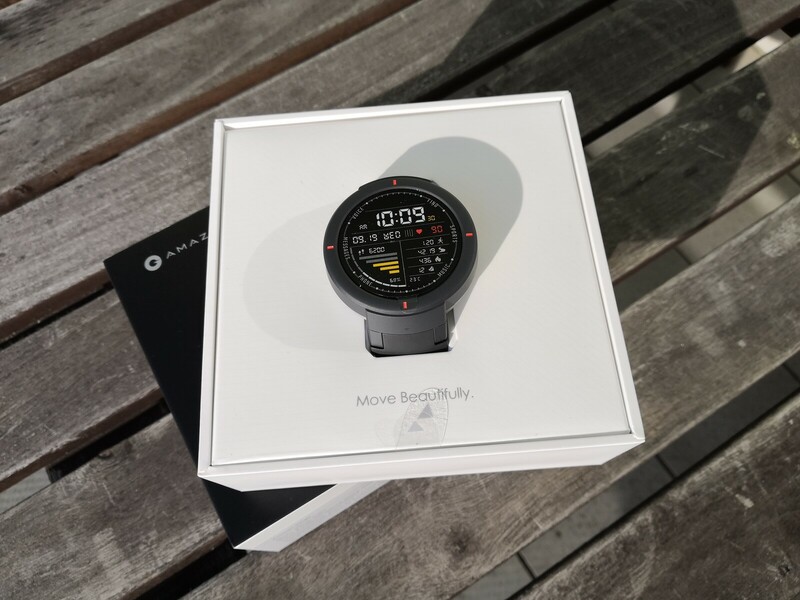 Behind the Amazfit Verge is the US company Huami, which is in turn involved with the aspiring Chinese manufacturer Xiaomi (pronounced "Shau-Mi"). 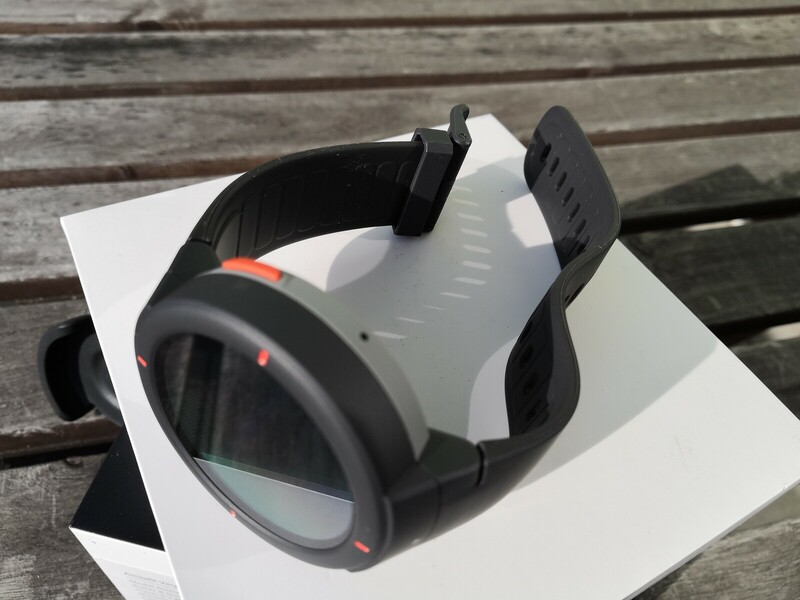 Xiaomi is not a stranger to the wearable technology market and has already won a reputation with its low-priced and functional fitness trackers (Mi Band). 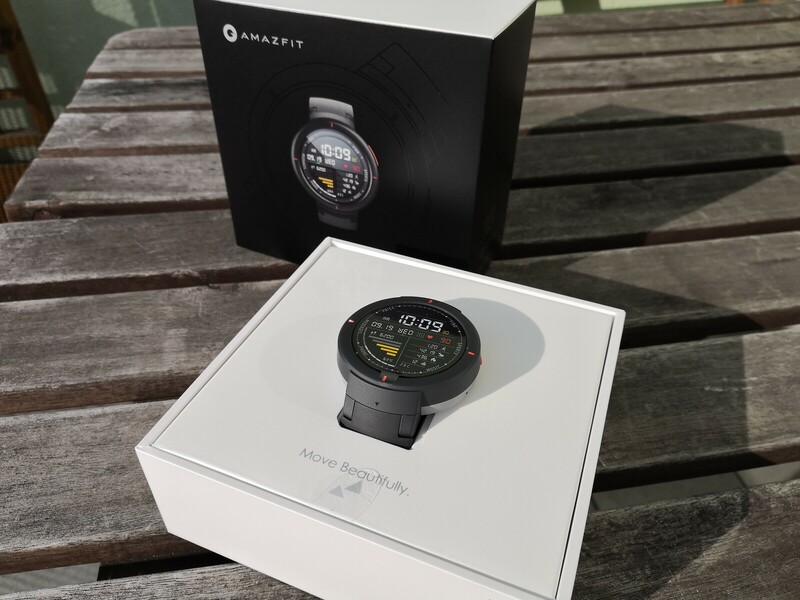 With a list price of 149 Euros (~$168; current market price of around 120 Euros (~$135)) the Amazfit Verge is significantly cheaper than the present Apple Watch Series 4 (starting from ca. 430 Euros (~$484)), but nevertheless it offers a full set of features. 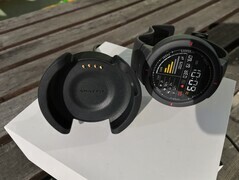 With the included charging dock, the watch is charged by a USB connection. 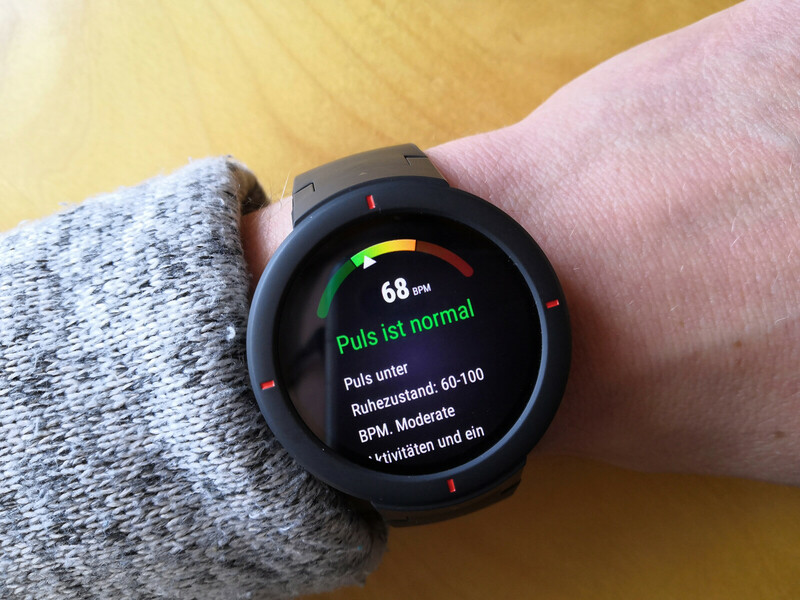 Afterwards one should install the related app (also available in German) on their smartphone and create an account by providing personal data such as age, weight, gender and height. After the connection between the smartphone and the watch is established by scanning a QR code on the display of the latter, the initial setup is finished. 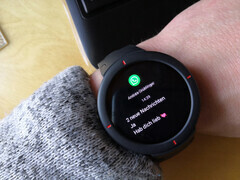 In order for all functions to be used on the watch, access permissions should be granted to contacts, location, phone, camera and others. 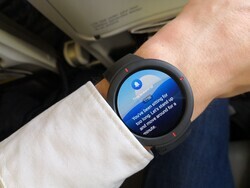 If updates are available, they will be installed and afterwards the watch is ready to use. 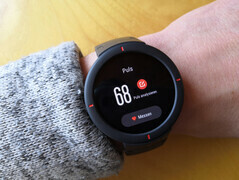 The question of whether an online tracker can be trusted with access to health-related data like motion records and heart-rate measurements should be answered BEFORE purchasing such a gadget, though. As opposed to the watches from Apple or Fossil that put emphasis on design and style, the Amazfit Verge relies on a plain, casual outfit with a plastic case and silicone bands. The bands should basically be replaceable, but we did not try this. 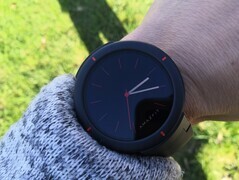 The size of the watch felt pleasant for such a device with a display diameter of ca. 35 millimeters (~1.38-in; ca. 45 mm or ~1.77-in in total) and a thickness of about 13 millimeters (~0.51-in). 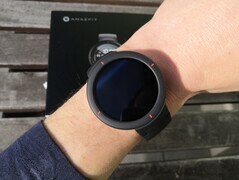 Weighing roughly 45 grams (~1.59 oz), the Amazfit Verge is slightly heavier than the Apple Watch (depending on the used band), but its display is smaller and rounded though. 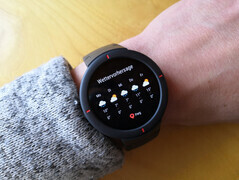 In compliance to the IP-68 standard, the watch is dust- and waterproof. 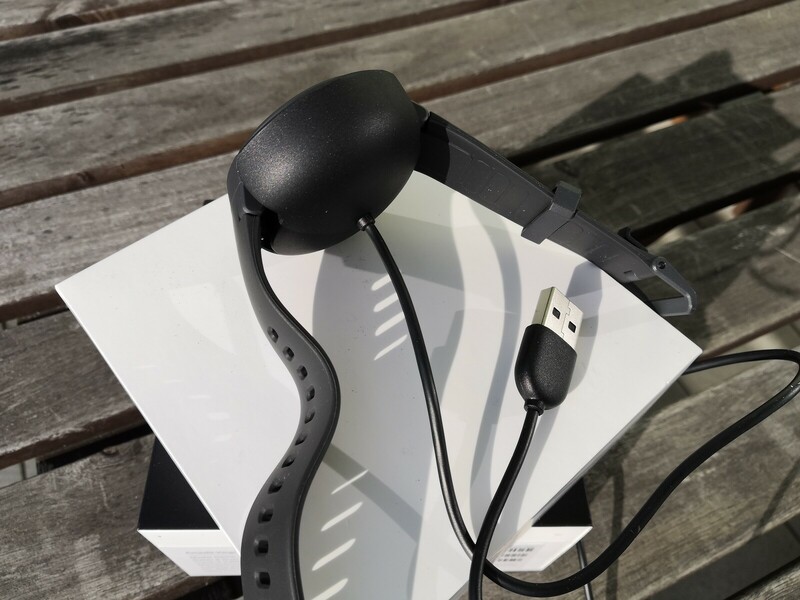 The battery capacity is 390 mAh, which should be enough for about five days according to the manufacturer. The actual operating time often depends on the individual usage of the watch. 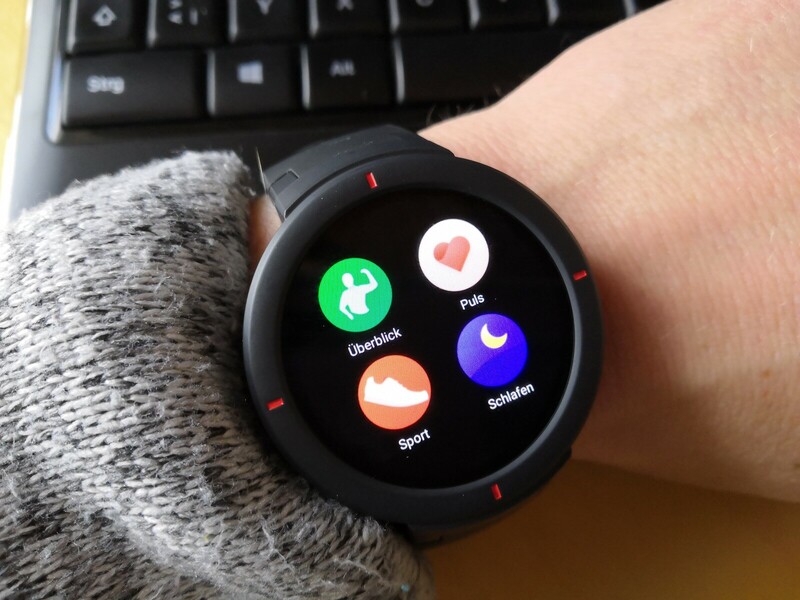 Prolonged on-screen time, and especially the frequent usage of the GPS-based tracking function for particular activities, can empty the battery considerably faster. 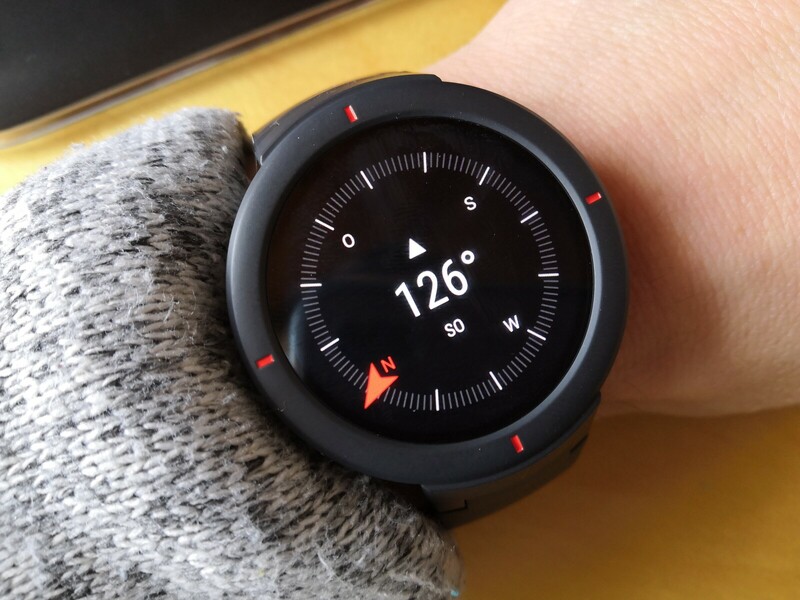 With a primary usage as a digital watch showing notifications, the manufacturer specifications can definitely be achieved. The display has a resolution of 360x360 pixels. The offered image sharpness can be described as good enough; however, the display absolutely cannot keep up with common smartphone displays. Its brightness is enough to recognize something when it's sunny, but it still gets tedious for the eyes if the sunlight is direct because of reflections. 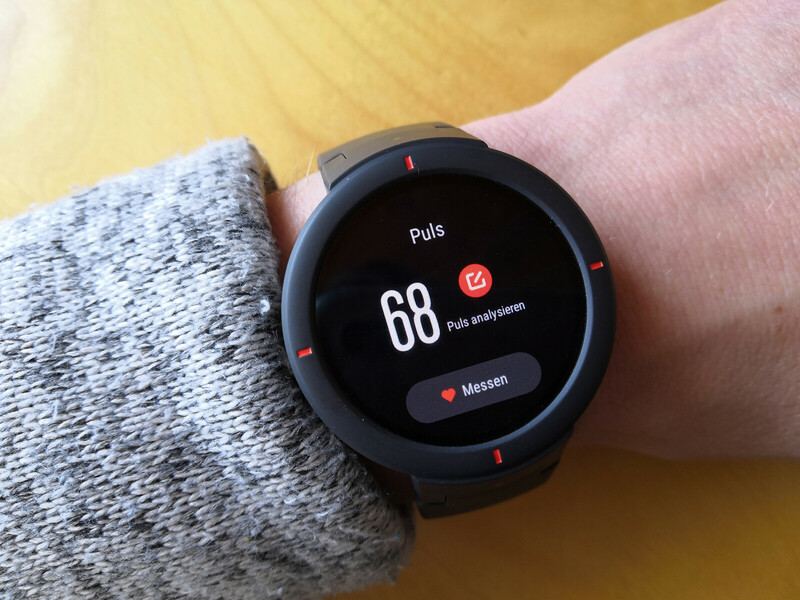 Smartphone users, even those without smartwatch experience, will adapt to the Amazfit Verge very quickly. The watch interface is also available in German (additionally delivered per update throughout the test). Inexperienced users will be happy with the intuitive way the time is displayed: A wrist rotation is enough to activate the display and enables a glance at the chosen watch face. 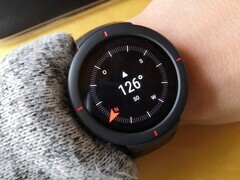 To access further functions on the watch, one should press the mechanical home button on the edge of the case or, after corresponding configuration, double-tap on the display. Moreover, one can also swipe on the display. A swipe from the top opens the quick settings, which allow adjusting the brightness or alternatively switching to airplane mode. A swipe from the right takes the user to the app menu where numerous functions are available. 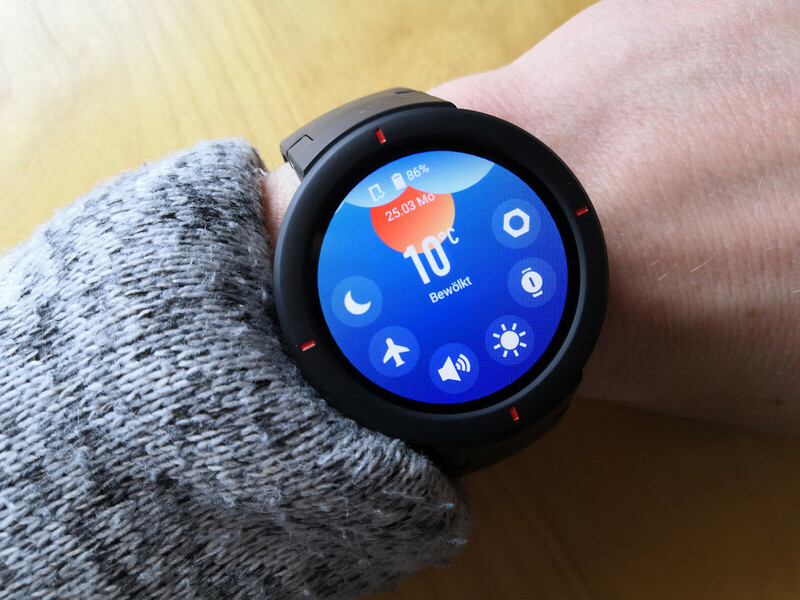 Features found here, among others, are the application for measuring the heart rate, the overview and details to the respective activities, access to the connected smartphone, weather, alarm, timer, stopwatch, and compass, etc. A nice gimmick: One can also search for the connected phone, meaning that the phone's ringtone will be activated by the watch, and in this way it helps with searching for a misplaced smartphone. 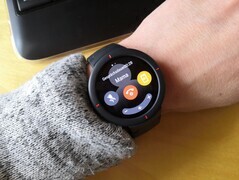 It is also possible to use the watch as a hands-free device connected to the phone. However, the display of notifications on the Amazfit Verge, like WhatsApp messages or incoming mails, seems more useful to us. For that to work, the respective authorizations in the app should be set up. For the sportspeople among users there is a proprietary app available that keeps track on a particular activity details such as route, distance, steps and heart-rate measurements. This information can then be analyzed on the corresponding phone app. The Amazfit Verge makes a purchase entry into the world of smartwatches simple and inexpensive. Numerous apps are available for the device; however, when evaluating their usefulness, it comes to the individual needs of the user. In our test, and also according to the author's usage of the watch throughout a fair, the Amazfit Verge showed its potential of being more of a rather nice gadget than a professional tool for analyzing sport activities. Given its current street price of about 120 Euros (~$135) there is almost no reason to avoid entry into the world of smartwatches with this device. Our opinion after the short testing phase is that the price-to-performance ratio is consistent.